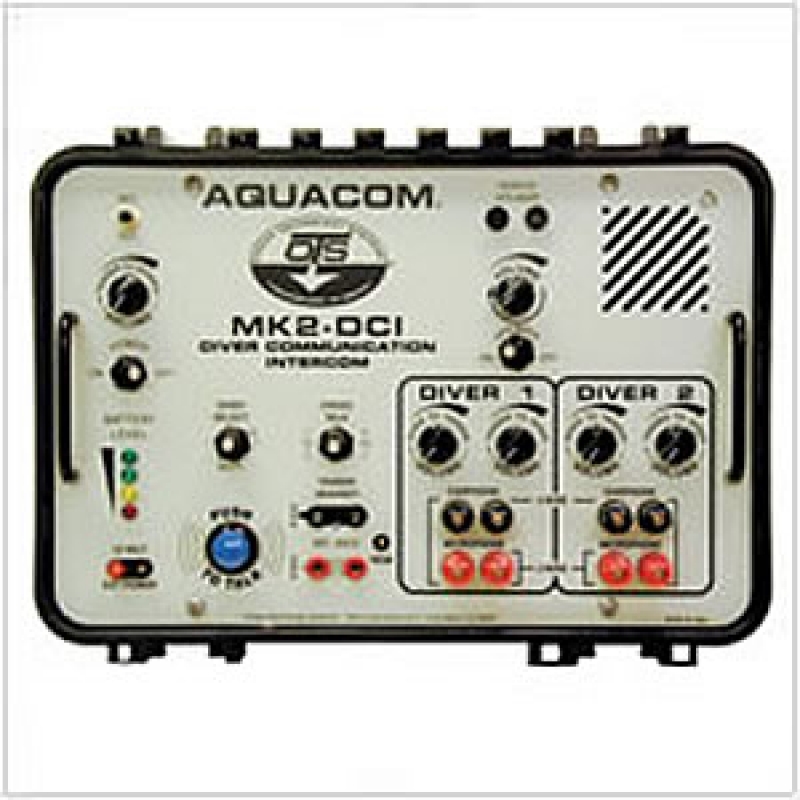 The Aquacom® MK2-DCI is a compact, self-contained two- or one-diver air intercom. It will provide one or two divers, using a Full-Face Mask and Ear/Microphone Assembly, with clear communications either in the 2- or 4-wire mode. However, up to 6 divers can be stacked and all be on line together (4-wire mode). 6 hours continuous use with alkaline batteries. 14" x 10.60" x 6.85"
9" x 7.85" x 3.7"
4.35" x 6.725" x 3.0"